Ultra Mac 1988 original! We are getting rid of the chains! Shaft drives "R" us! | Dual Drive Bike Co....we put fitness up front! Ultra Mac 1988 original! We are getting rid of the chains! Shaft drives “R” us! February 17, 2013 2592 × 3888 Starting a new Dual Drive bike business! Your old foot powered bikes are a thing of the past! The ultra mobile aerobic cycle pictured above, works every major muscle group, but it lacks style and looks dangerous! 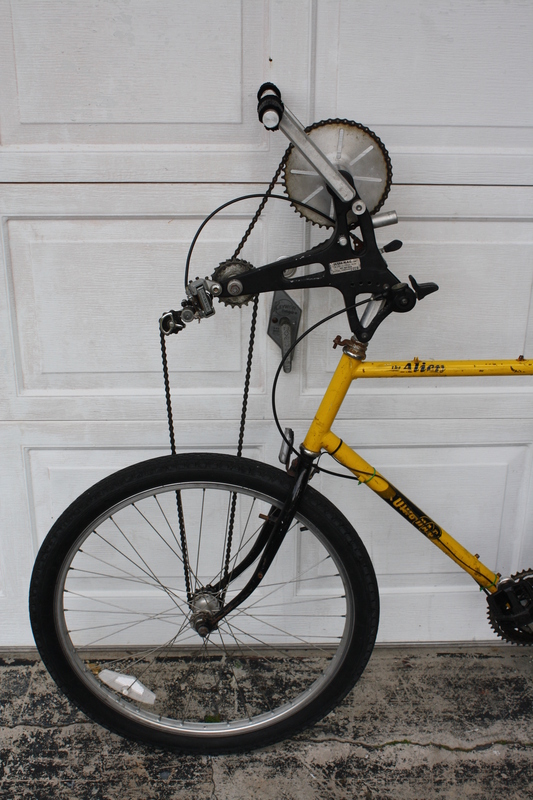 By replacing the chains and running a shaft drive down the right side front fork, (triple “T” style) this fitness bike becomes and easy sell to the cross fit athletes across the world! Triathletes check out this training bike. This fitness bike lets you work your upper body swimming muscles as well as your leg muscles.